With the Grammys coming up on Feb. 15, there are a few things that we need to take care of before we watch. Like finding out what the Weeknd's stage name means, for example. I just really can't deal with the shame of going out into the world, someone at a party turning to me and asking how he got the moniker, and me having to hang my head and say I don't know. And then I'd probably have to leave the party — and my bean dip! — and go home and think about what I'd done. Maybe even quit my job, because I'd let you down by not knowing. Our actions have consequences, you guys. But all of this can be avoided right here and now by me just figuring out the inspiration behind this dude's name, so that the youths on Snapchat will finally respect me. The Weeknd was born Abęl Tesfaye, a name reflecting his heritage — Tesfaye's parents emigrated from Ethiopian to Canada in the 1980s. By his own description, he was a difficult child, and dropped out of high school at age 17 to leave home, a transition that was accomplished all in the space of one weekend. (You get it.) Tesfaye says one day, his friends pulled up in front of his house in a van, and he dragged his mattress out of his house and threw it in, and then literally never came back to the life he had before. So, basically, he chose "the weekend" as a phrase to remind him of that departure, and adjusted the spelling so that it didn't conflict with a pre-existing Canadian rock group based out of Ontario called The Weekend. And now here we find ourselves, with everyone knowing Tesfaye by his adopted stage name, and all of us tuning in on Sunday to see which of the seven (seven!!) 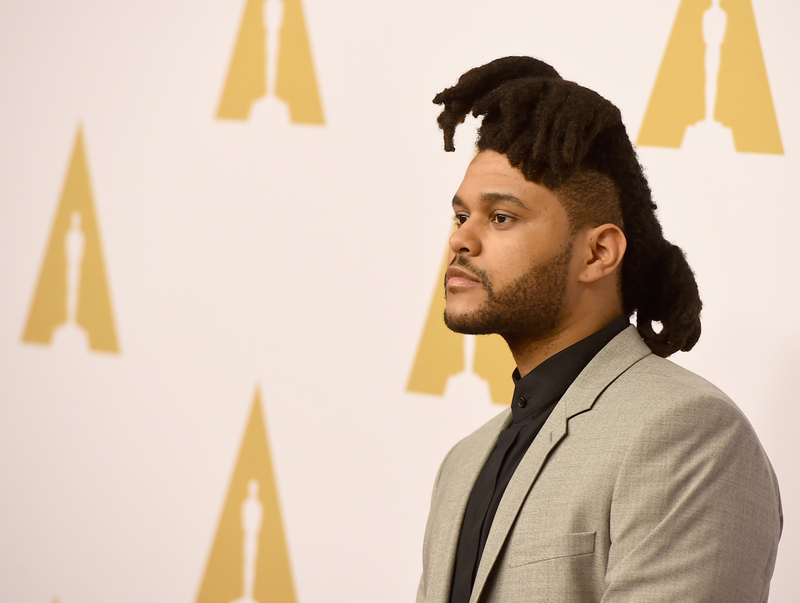 2016 Grammy Awards The Weeknd is nominated for that he walks away with. And, most importantly of all, I get to stay at my parties shame- and stress-free. Win/win/win.